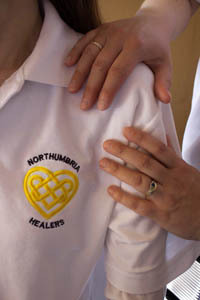 Healing is a gentle, supportive and calming complementary therapy. It involves either a light touch or hands held close to the body to realign and improve the free flow of “energy” around the body, in order to promote self-healing in the recipient. It is offered to generate balance in a person’s energy field in order to activate the body’s own natural healing forces. However, the full effect and benefits of healing may not be felt until days or even weeks after the treatment. Healing can bring improvement physically, mentally and emotionally and can be used alongside conventional treatment. It is part of a changing emphasis in healthcare from passive disease management to proactive health creation, and is geared towards helping the individual identify the cause rather than treating the symptoms of disease or disharmony in the body.